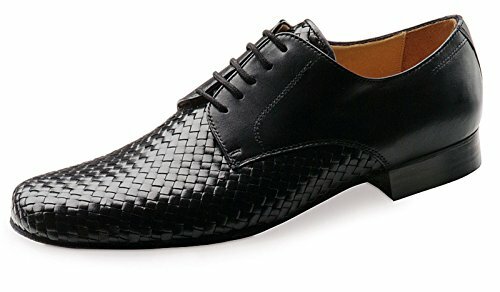 Wonderfully soft glove-quality Werner Kern men's dance shoe with comfortable 5-hole lacing. The extensively hand-braided front of the shoe is optically unique and thanks to its flexibility, it individually adapts to any foot, offering a perfect and extremely comfortable fit. The shoe is lined with soft glove-quality calfskin. Soft glove-quality hand-braided lamb nappa leather that provides a particularly gentle and supple fit.